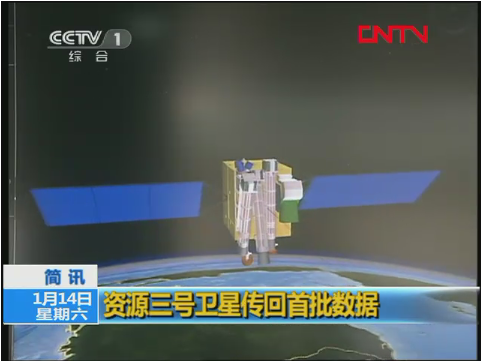 Ziyuan-3 is the designation for China’s third generation of civilian high-resolution Earth Observation Satellites under operation by the Ministry of Land and Resources. 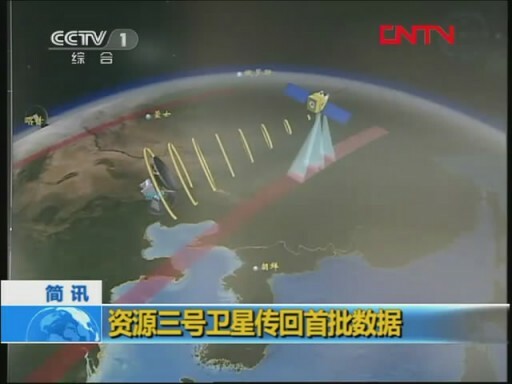 The satellites, succeeding the ZY-2 spacecraft launched in the early 2000s, were developed by the China Academy of Space Technology and are outfitted with high-resolution imaging instruments supplied by the Changchun Institute of Optics, Fine Machinery and Physics. 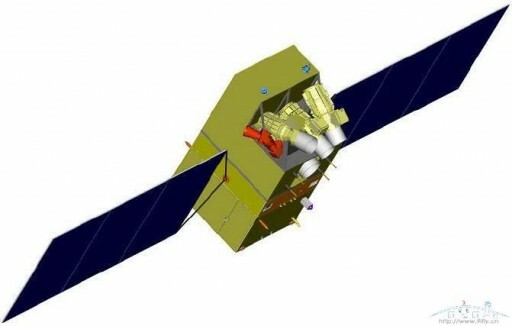 ZY-3 is the first civil high-resolution stereoscopic Earth Observation Program in China and has the overall objective of creating large-scale, three-dimensional maps, and delivering relevant parameters for environmental monitoring, resource management, disaster relief, urban planning and national security. Development of the ZY-3 satellites began in 2008 and the first spacecraft launched in 2012 for a five-year mission. The spacecraft carry two imaging packages – a Three-line Array Camera for high-resolution image acquisition and stereo product generation, and a Multispectral Camera for the collection of environmental data products. 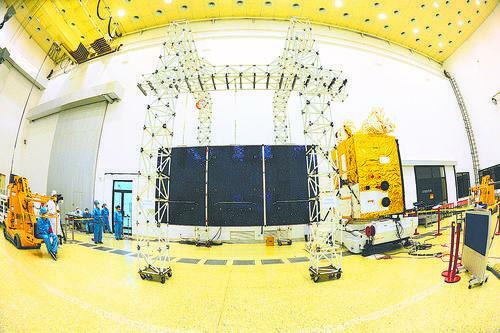 The 2,640-Kilogram Ziyuan-3 satellites are based on the Phoenix-Eye 2 satellite platform, using an improved version of the platform employed for the Ziyuan-2 spacecraft. A modular approach is used with a separation between the Service and Payload Modules, allowing them to be built independent of one another and integrated late in the assembly process. The Service Module hosts all subsystems needed for the functionality of the spacecraft – power generation and distribution, attitude determination and control, propulsion, thermal control, and communications. Systems of the Payload Module include the sensors, the Data Transmission Subsystem and the image data recording system in charge of onboard data processing and lossy/lossless compression. Two three-panel solar arrays with sun-tracking capability generate power distributed to all satellite subsystems and the Li-Ion battery. The spacecraft uses a three-axis attitude control system with sun sensors, inertial measurement units and star trackers for attitude determination. Reaction wheels, magnetic torquers and a thruster system are available for attitude actuation. The ADCS of the ZY-3 satellites supports agile and accurate pointing up to 32 degrees off nadir at a typical accuracy of 0.1°. Drift correction is employed to permit the satellite to keep pointing to its target. ZY-3 hosts a pair of 500-Gbit Solid State Recorders to hold data collected by the Earth Imaging Payloads along with attitude information and data from satellite navigation systems for proper geo-tagging of collected imagery. Downlink of Earth observation data is completed with a pair of X-Band transmission channels operating at 450 Mbit/s and feeding a pair of servo-controlled spot-beam antennas. 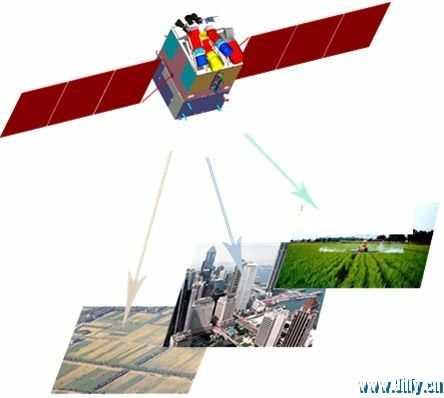 Three ground stations are assigned to the ZY-3 missions, allowing each satellite to collect up to eight image strips per day amounting to a daily data volume of 1.8TB. Each image strip consists of approximately eight minutes of instrument operation, covering an area of 150,000 km². The remote sensing payload of the ZY-3 satellites is comprised of two instruments – the Three-line Array Camera and a Multispectral Camera. 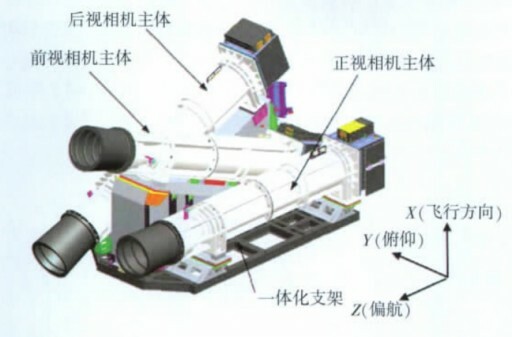 Responsible for the development and production of the payload is the Changchun Institute of Optics, Fine Machinery and Physics (CIOMP). The Three-line Array Camera is comprised of three high-resolution panchromatic cameras – one facing directly nadir and the other two offset by 22 degrees forward and backward in the along-track direction. This enables the simultaneous collection of stereoscopic imagery of the same scene with a minimal period of time between the collection of the stereo images. The TAC instrument consists of the three cameras and telescopes, a common control unit, and signal processing units, all integrated onto a single frame serving as optical bench. The instrument resides on the forward-facing panel of the satellite, pointed to the nadir direction, and shares its optical bench with the two Star Trackers of the satellite. This is done to ensure a high pointing stability of the Star Trackers and instrument. Carbon fiber structures are used for the mounting structures of the forward and backward cameras while titanium is employed for the support frame. The camera assemblies themselves also use titanium alloy to deliver high thermal stability. Each of the three cameras is outfitted with a 17-centimeter telescope using a combination of passive and active thermal control systems to maintain the optics at a temperatures of 20+/-1°C. The telescopes focus images onto Charged Coupled Device detectors with 7 µm pixels with anti-blooming and good radiation response. Time-delayed integration is used by the cameras and a 10-bit data quantization is employed in the analog-to-digital conversion of the images. The three cameras are sensitive for wavelengths of 500 to 800-nanometers and have a field of view of around six degrees, creating ground swath widths of 51 Kilometers. The cameras achieved a resolution of 3.5 meters for the forward/backward instruments and 2.1 meters for the nadir camera. For the ZY-3-02 mission, resolution was improved to 2.5 and 2.1 meters. The Multispectral Camera MSC hosts a Three Mirror Anastigmat Telescope feeding a focal plane assembly that hosts detectors for imaging in four spectral channels for the generation of full-color RGB imagery as well as near-infrared data. MSC is comprised of the electrooptical assembly, a management and control unit, and a signal processing system. The instrument employs a stable main body frame that hosts the four reflection mirrors and focal plane assembly. The structural system is comprised of a carbon fiber truss structure with back and front frames made of a SiC/Al material. Interfaces between the instrument and the satellite feature thermal decoupling. The Three Mirror Anastigmatic (with additional flat mirror) design was chosen since it provides a larger field of view than the conventional Cassegrain or Ritchey-Chrétien systems. Another advantage is that this particular design has no obscuration within the field of view. The primary and tertiary mirrors are aspheric, enabling a low distortion across the entire field of view for the generation of high-quality imagery. Focus on the camera can be fine-tuned by adjusting the focal plane and flat mirror positions. All mirrors of the MSC instrument use Zerodur material (Zero Expansion Glass-Ceramic) for its favorable thermal characteristics. The mounting frame is comprised of titanium alloy chosen for its high stability. The four-mirror telescope design creates a focal length of 175 centimeters feeding a CCD detector residing on the focal plane assembly. The CCD detector features 20 µm pixels and a heat pipe system moves heat away from the detectors to keep them operating between -15 and +5°C for dark current reduction. MSC covers four spectral bands – 450-520nm, 520-590nm, 630-690nm, and a NIR channel at 770-890nm. The instrument has a field of view of 6 by 0.3° and operates as a pushbroom sensor with the detectors using a time-delayed integration scheme. MSC’s ground swath is 51 Kilometers wide and imagery delivered by the instrument reaches a ground resolution better than six meters. The ZY-3 satellites operates from a near-circular Sun-Synchronous Orbit 506 Kilometers in altitude at an inclination of 97.42° with a Local Time of Descending Node of 10:30. This orbit provides a 59-day repeat cycle, though the swath width and pointing capability enables each ZY-3 satellite to reach a re-visit time of 5 days.